Gerald Anderson was a successful dairy farmer but an unsophisticated businessman. He was in charge of the cows and the milk. His wife, Mary, was in charge of the business side of things. She made business decisions, signed cheques, and paid the taxes. The farm thrived. Gerald and Mary had six children – two sons and four daughters. The two sons worked with their parents on the farm. So did one of the daughters, Loreen. The couple’s estate plan was simple. The sons would each get half of the farm. The daughters, including Loreen, would get life insurance money. Was the estate plan fair? Loreen spent fifteen years working in the family farm operation alongside her brothers. She felt that she deserved a part of the farm too. Her parents did not see it that way. Loreen was paid a salary for her help on the farm. Her brothers shared in profits, if any – in lean years they would take a beating financially. She had worked on the farm for fifteen years. Her brothers had worked on the farm for their entire adult lives. For better or worse, Loreen was always treated by her parents as an employee, not an owner. The whole family knew the parents’ plan. While Loreen may have been irked, she did not challenge them – at least not while her mom was alive. Her mother died in 2001 and Loreen swung into action. Her father, Gerald, was seriously ill with a terminal disease at the time. He had trouble walking. He could not speak clearly or easily. It looked like Gerald would be following his wife into the grave — quickly. Loreen invited him for dinner. When he got there, he was met by four people, two documents, and a pen. The dinner guests included Loreen, a commissioner of oaths, and persons to serve as witnesses. On the table were two transfers of land. It turned out to be less of a dinner party and more of a give away the farm party. The effect of the transfer documents was to place a significant portion of the farmland in joint names with Loreen. Gerald and Loreen would be on title as “joint tenants.” That meant that as soon as Gerald died, Loreen would be able to ask the land titles office to put the land in her name alone. Voila – half the farm for her. Gerald’s will had been drafted and signed earlier, when he was healthy and had his wife at his side acting as his business partner. The will would have passed the farmland in question to one of his sons, Donald. Loreen’s plan was designed to change that. Joint tenancy passes land directly to the surviving co-owner when the first co-owner dies. The land never goes into the estate. Since the land that was jointly owned with Loreen would not form part of Gerald’s estate, Loreen understood that the land would not be governed by his will. After Gerald passed away, Loreen invited her brother Donald over for a coffee date. It turned out to be less a coffee date and more of a get your farm equipment and livestock off of my land date. Donald did not say a word to his sister when she told him he was no longer a farmer. He quietly set his coffee cup down and walked out of her house. He walked from her house and into a lawyer’s office. 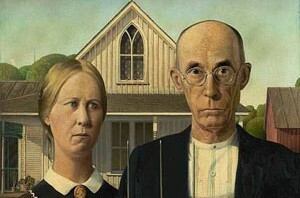 Donald and his lawyer sued Loreen for ownership of the farmland that would rightfully have been his under the will. Donald won the court case. The law that applies to joint tenancy was trickier than Loreen thought. When a parent places land in joint tenancy with an adult child, a “legal presumption of resulting trust” operates. The court assumes that the child holds the land in trust for the persons who would have inherited it under the will. That meant that Loreen had to override that assumption by proving to the judge that her dad intended that she keep the land for her own. She failed. The judge also concluded that Gerald did not know what he was signing that day. His daughter had misled Gerald. Further, he was sick and weak, and would have signed anything Loreen put in front of him. In the end result, Donald got the farmland back. Loreen kept her share of the insurance money. We can assume that she lost her job on the family farm. The saga of Gerald, Loreen and Donald is a true one. All of the sad details are taken from the published decision of the Alberta court that heard the case. The names have been changed to save the family embarrassment. Next week’s column: the knickerbockers trust, a bizarre foray into the law of trusts.